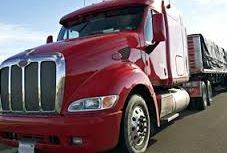 The trucking industry provides an essential service to the American economy by transporting large quantities of raw materials, works in process, and finished goods over land—typically from manufacturing plants to retail distribution centers. Trucks are also important to the construction industry, as dump trucks and portable concrete mixers are necessary to move the large amounts of rocks, dirt, concrete, and other building materials used in construction. Truck Manufacturing companies in America have often used many manual operations because automation solutions were not cost effective. TBD Enterprises LLC offers many cost effective automated solutions to help this industry produce more vehicles with lower cost.